Located near Roger Williams Park and Zoo, this hotel is also near Kennedy Plaza, Dunkin Donuts Center, Brown University, Johnson & Wales University, Providence College and the Rhode Island School of Design. 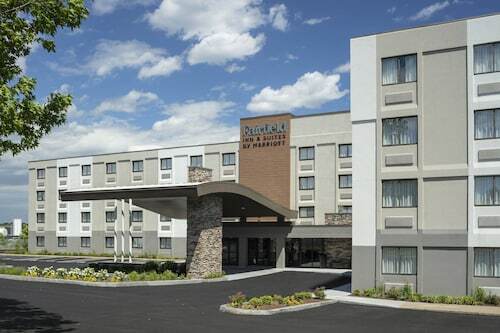 Situated near the airport, this hotel is 1.2 mi (1.9 km) from Lincoln Park Cemetery and within 6 mi (10 km) of Johnson and Wales University and Rhode Island Hospital. Providence Performing Arts Center and Garden City Center are also within 6 mi (10 km). 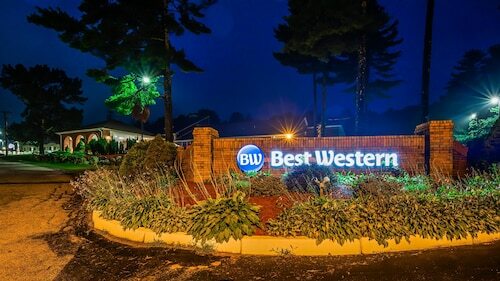 Situated in Warwick, this motel is 1.2 mi (2 km) from Lincoln Park Cemetery and within 6 mi (10 km) of Johnson and Wales University and Rhode Island Hospital. Providence Performing Arts Center and Garden City Center are also within 6 mi (10 km). 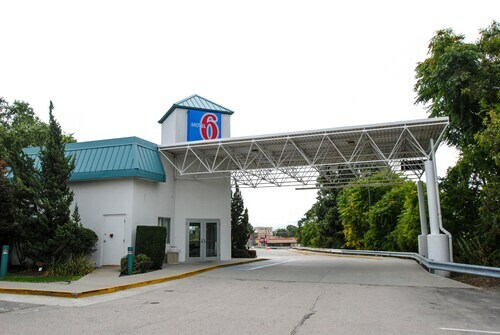 Situated near the airport, this hotel is within a 15-minute walk of Miracle Mile of Shopping and Warwick Mall. Mulligan's Island Golf and Entertainment and Launch Trampoline Park are also within 3 mi (5 km). This Warwick hotel is across the street from the airport, 3 miles from Roger Williams Zoo, and 9 miles from downtown Providence. 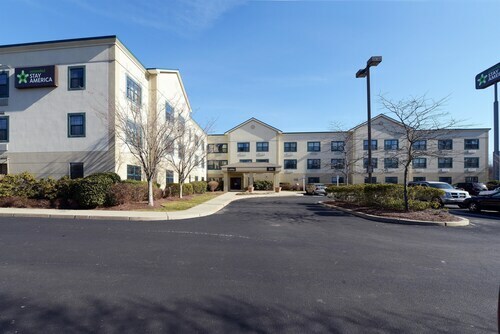 Situated in Warwick, this hotel is 1.3 mi (2 km) from Lincoln Park Cemetery and within 6 mi (10 km) of Johnson and Wales University and Rhode Island Hospital. Providence Performing Arts Center and Garden City Center are also within 6 mi (10 km). 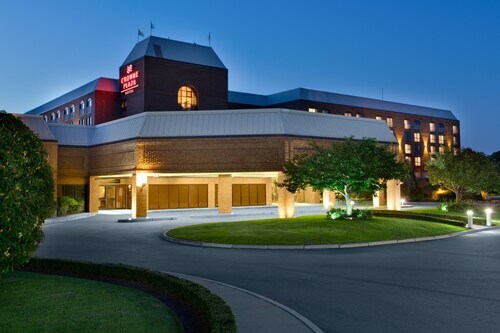 Situated near the airport, this hotel is within 1 mi (2 km) of Miracle Mile of Shopping, Ocean State Theatre, and Warwick City Hall. Warwick Museum of Art and Warwick Mall are also within 2 mi (3 km). 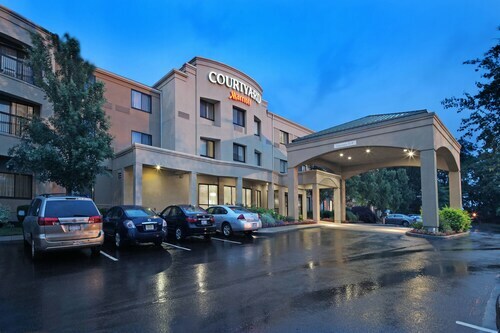 Situated near the airport, this hotel is 0.8 mi (1.3 km) from Miracle Mile of Shopping and within 3 mi (5 km) of Warwick Mall and Warwick City Hall. Warwick Museum of Art and Lincoln Park Cemetery are also within 3 mi (5 km). This hotel is in downtown Providence located within walking distance to area attractions, shopping and restaurants. Also offers complimentary shuttle. 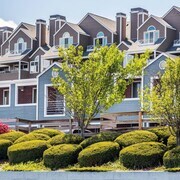 Situated on the scenic Pawtuxet River, NYLO Providence/Warwick is 3.5 miles (5.6 km) from T. F. Green Airport. 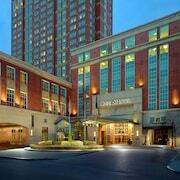 Several shopping malls and top restaurants are within walking distance, and downtown Providence is a 15-minute drive. 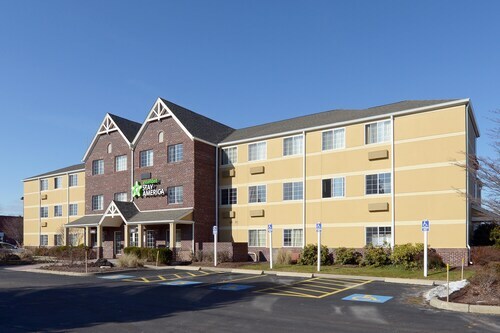 Situated in West Greenwich, this hotel is 5.3 mi (8.5 km) from Nathanael Greene Homestead and within 12 mi (20 km) of Launch Trampoline Park and Warwick City Hall. Warwick Museum of Art and Warwick Mall are also within 12 mi (20 km). 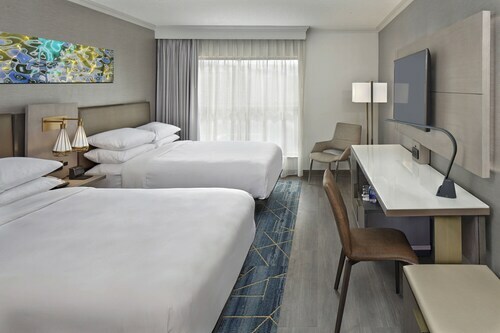 Located on Providence's historic East Side, this hotel is within 1.5 miles of downtown Providence and Brown University as is on the waterfront. As your plane begins to descend into T.F. Green Airport (PVD) in The Beehive of Industry, you can relax, knowing that your accommodation is ready and waiting. Welcome to Providence! Relieve some of the stress of traveling by booking a night at one of the 4 hotels that are on the doorstep of the airport. If you're fond of complimentary airport shuttle service and 24-hour concierge, look into the Radisson Hotel Providence Airport. 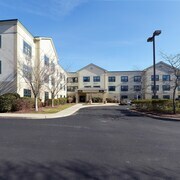 If that's not essential, maybe you'd prefer the Hampton Inn and Suites Providence Warwick Airport. The Rodeway Inn Airport and the Best Western Airport Inn are also appealing properties where you can lay down your bags. Get a taste of the area while still being within easy reach of the airport by booking a room in one of the nearby neighborhoods. Inquire into Miracle Mile of Shopping and its 6 places to stay. Some great establishments here are the Crowne Plaza Providence-Warwick Airport and the Residence Inn By Marriott Providence Warwick. If you intend to make your way into the city, getting a train is a handy option. You'll find the platform at TF Green Airport, 0.3 miles (0.5 kilometers) away. Whether you've heard of the Brown University before or not, it's definitely worth a visit. You can find it just 7 miles (11 kilometers) from the airport, so be sure you take the time to see it. Your incredible Providence adventure awaits. Secure your hotel today and land with a plan! 10 Min. to Prov./ 2 Blocks From Bay/june 2019 is Open! Bay Breeze Cottage - 2 Bedrooms on Beach ! The View Will Soothe Your Soul !